An errant drop of hair dye can stain your couch. 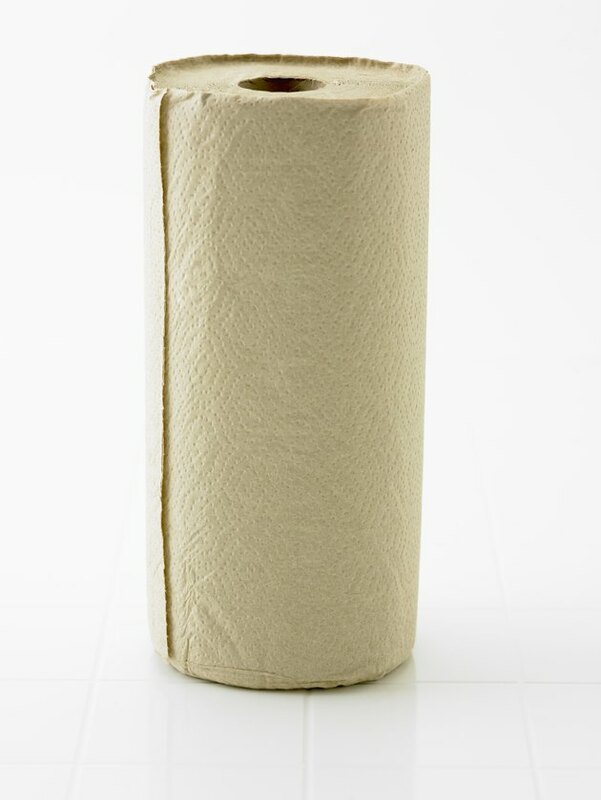 Absorb excess stain moisture with paper towels. Blot the upholstery with paper towels to absorb hair dye. Repeat this step until no further hair dye transfers from the couch to the paper towels. Discard the towels in the trash. Pour 2 cups of warm water into a bucket. Add 1 tbsp. of dishwashing detergent and 1 tbsp. of white vinegar. Mix with a spoon until blended. Moisten a sponge with the detergent and vinegar solution. Dab at the hair dye stain until the upholsery is moist. Leave the solution on the couch for 30 minutes. At five-minute intervals, moisten a cloth with the detergent mixture and blot the stain to lift the hair dye. Wet a clean cloth with water and wring out excess. Sponge the upholstery to remove the detergent solution. 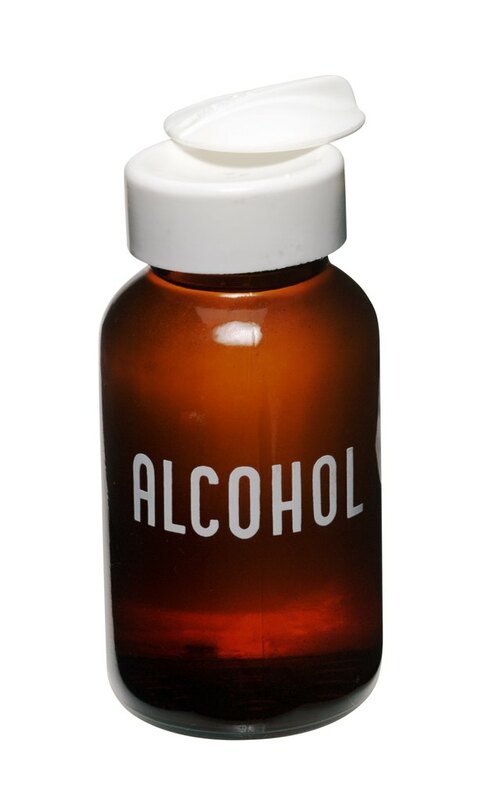 Rubbing alcohol helps remove ink and dye stains. Dampen another cloth with rubbing alcohol. 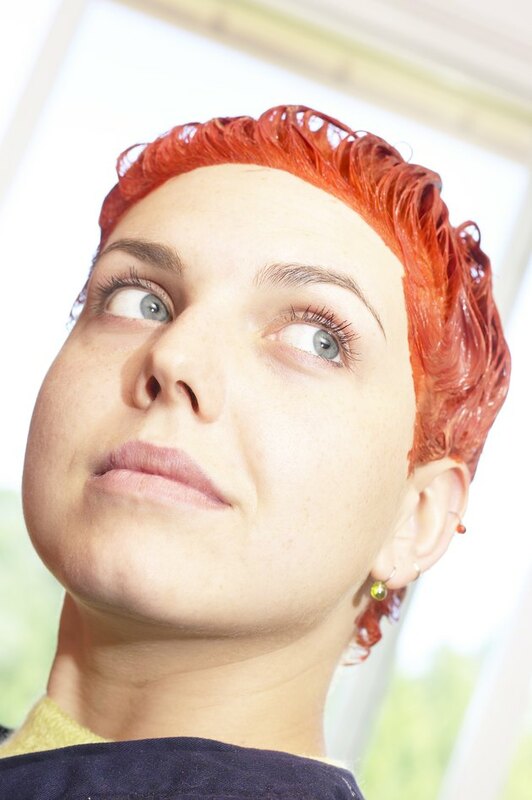 Blot the remaining hair dye stain, starting at the perimeter of the stain and moving inward. As you lift the hair dye, move to a clean portion of the cloth and continue to sponge the upholstery. Tackle any remaining hair dye stain on your couch upholstery with a solution of 2 cups of cool water, 1 tsp. of dishwashing detergent and 1 tbsp. of ammonia. Apply the solution to a clean cloth and treat the stain as described in step 3. Rinse the upholstery by sponging with a moist cloth. Absorb excess moisture from the upholstery by pressing dry cloths into the surface. Allow the upholstery to air dry.